As 2018 closes and we look ahead to 2019, there is progress and momentum in several areas, thanks to the leaders of several programs and the energy and work of many people in the history community. Through the leadership of the Museum Association of New York (MANY) and others, the legislature in the last session unanimously passed the Museum Education Act, which authorizes grants to museums and related programs for educational work. A MANYS report released earlier this year, Education Programs in New York State Museums 2018, helped build support for the bill. More information is available from the MANY website. 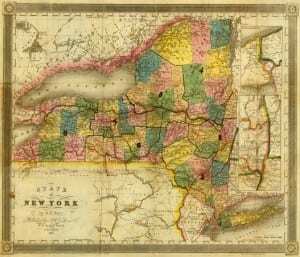 This website, the New York History Blog, continues to be a central source for news on programs and model programs and initiatives around the state. The state’s history community continues to acknowledge the dedication and tireless work of the site’s proprietor, John Warren. We also need to provide financial support to ensure it continues. State Historian Devin Lander has continued his record of exemplary leadership in expanding the work of the Office of State History. 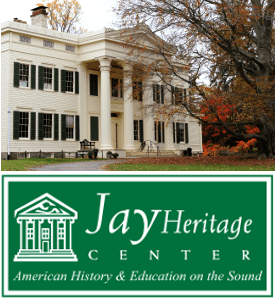 Its website has become a central source of information, his “Historian’s Notes” provide continual updates, he continues to offer training and development opportunities, and earlier this year initiated a podcast entitled “A New York Minute in History,” in co-sponsorship with WAMC. This year’s Researching New York conference, November 15-18 at SUNY Albany, was exceptional for the range of historical topics explored in the sessions. Many of the presentations this year covered exciting topics in local history, always a rich source in our state. There were quite a few new presenters, reflecting the continuing growth and vitality of the state’s history community. Of course, those are only a few examples. As we look ahead to 2019, in addition to pride and reflection at the accomplishments of New York’s historical enterprise, there are sources beyond New York that might also provide insight and inspiration for our aspirations. I have mentioned earlier materials from these programs in previous posts. One is the 2017-2018 report of the Canadian History Museum. Their Canadian History Hall opened on July 1, 2017, after years of planning for how best to tell the whole historical story of Canada. A series of slides illustrates the success of the first year, including pride in Canada’s World War I record, a high number of visitors, and private support to supplement public finds. Another is a series of reports from the Minnesota Historical Society. 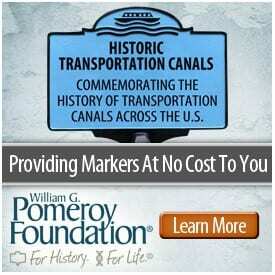 Their reports “Fiscal Year 2018 Highlights” and “Minnesota History: Building A Legacy. Report to the Governor and the Legislature on Funding for History Programs and Projects Supported by the Legacy Amendment’s Arts and Cultural Heritage Fund” might be of particular interest. The “Minnesota History” report describes projects funded by the state’s Arts and Culture Heritage Fund, established in 2008 to support historical and related programs across the state.